In 1906 young Fred (Frederick Nehu) Naden transplanted a pohutukawa seedling in front of the family home in Tokomaru Bay. 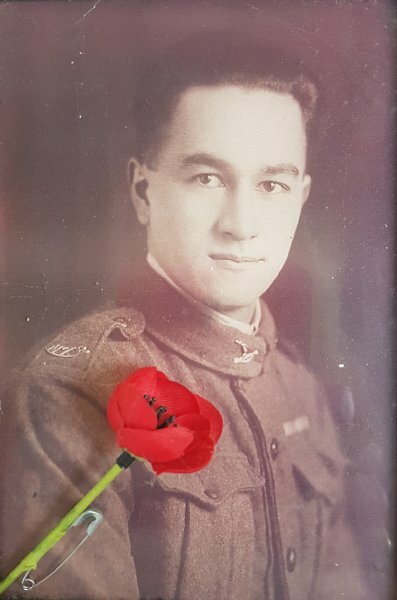 In 1917 at the age of 19 he went off to the First World War where he was wounded but came back to fight through the Battle of Passchendaele in which he was awarded the Military Medal. He was a runner whose survival rate was 4 days. On his return to New Zealand after being part of the victory force in Germany with the Auckland Regiment followed by a period in hospital in England Fred vowed on his return never again to leave Tokomaru Bay. Prior to the war he had been employed in the Auditor-General's office in Wellington and was looking forward to a career in law or commerce but on his return he resigned his position and returned to Tokomaru Bay. He found solace in the company of the thirty or so veterans of Tokomaru Bay at the local tavern who helped him forget the terrible sights he had seen at La Basse-Ville and Passchendaele. He suffered from what we now know as Post Traumatic Stress Disorder and received no treatment for his problem. He died at the early age of 51 in 1950.. 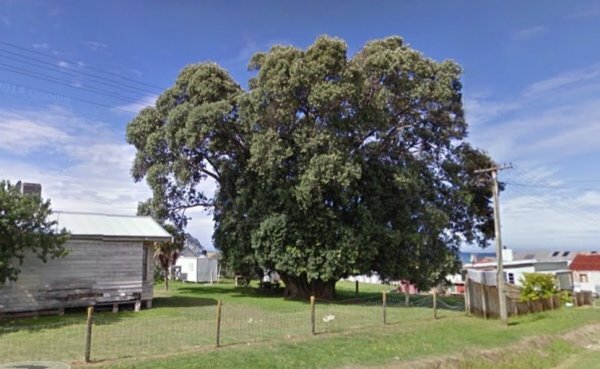 In the year prior to his death he told his son Joe, the story of the pohutukawa tree that stood on the front lawn of their once stately villa in Potae Street. Of how he had followed a party of men around the northern end of Tokomaru Bay to gather parengo - an edible seaweed. When they reached a spot where the sea came into the cliff and he was unable to run across in time he decided, with the men yelling at him, to go home. It was then he spied the pohutukawa plant growing in a crack in the cliff. He carefully extracted it, shoved it down his shirt, and carried it back home. His aged mother, a very keen gardener, whose flowers, shrubs and fruit and decorative trees have all disappeared since she died in 1937, helped him plant the tree in the front lawn where it still stands today. 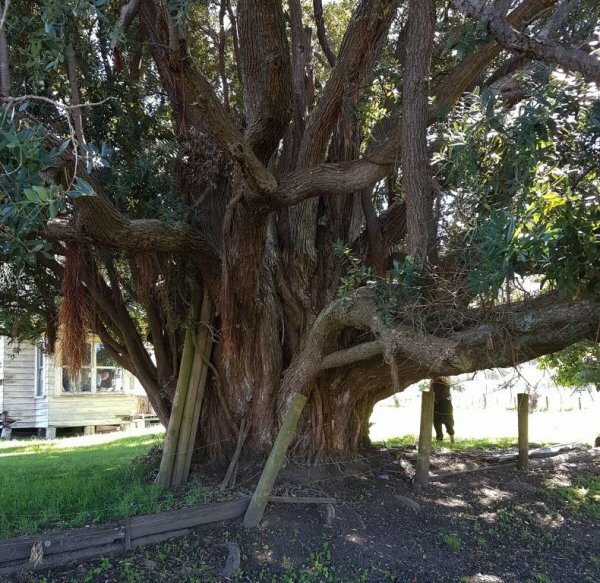 Locals remark that the Naden pohutukawa is easily the best-known tree in Tokomaru Bay almost rivaling its more famous relative at Te Araroa, the pohutukawa named Te Waha o Rerekohu. 1) Auckland War Museum Online Cenotaph, Private F. Naden, S.N. 34409, 20th Reinforcements E Company NZEF. 31 Mar 2018 Brooking, S & A.